Ticwatch Pro 價錢 & 那裡買? 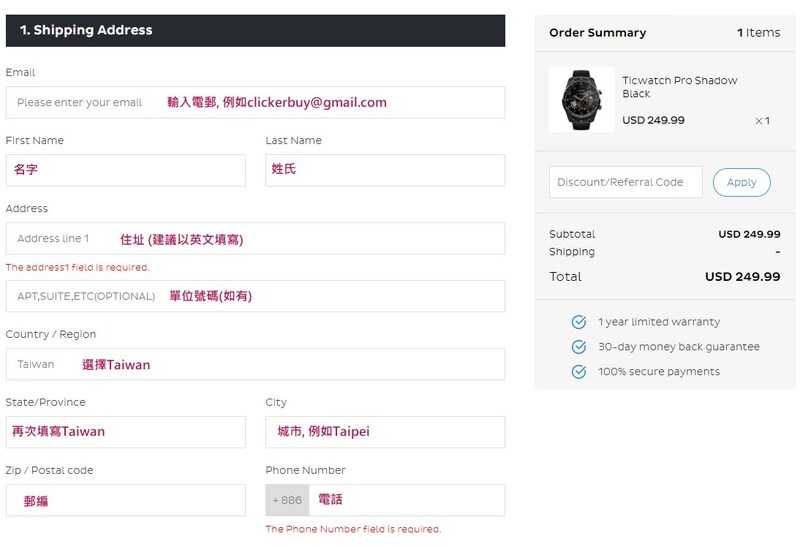 When Ticwatch Pro available in Hong Kong internationalversion inform me. Ticwatch Pro international version is now available on Mobvoi Offical Store! The international version is released. When have discount here? We are contacting them for the coupon code, will update here once we hear from them! Will try our luck tomorrow! Oh I have been waiting for the international version for a long time!!!!!! No news about E-SIM version, may launch before the end of the year. I wouldn’t say it’s wireless but almost wireless charging. You can check the below youtube video for more details. 有沒有類似apple watch 3 lte e-sim獨立電話功能? 之前向Mobvoi查詢過, 他們表示之後有機會為國際版推出e-sim版本, 不過是之後的事了~ 目前的Ticwatch Pro國際版是沒有e-sim的哦!